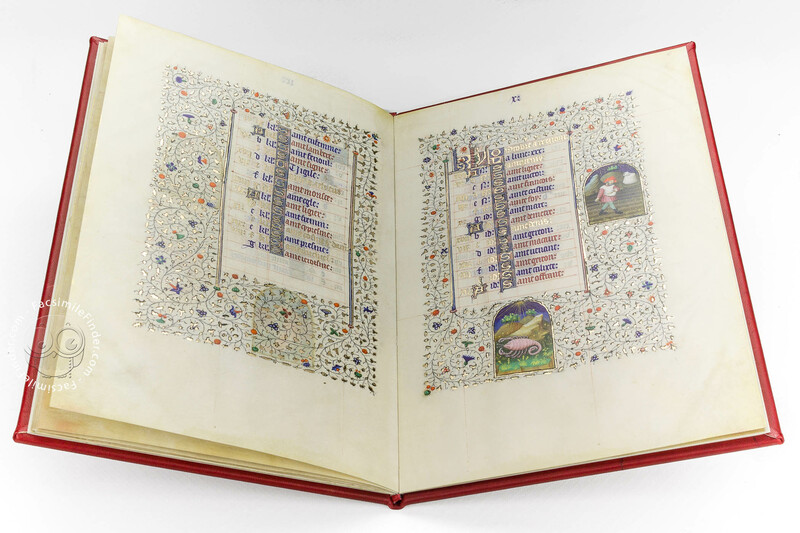 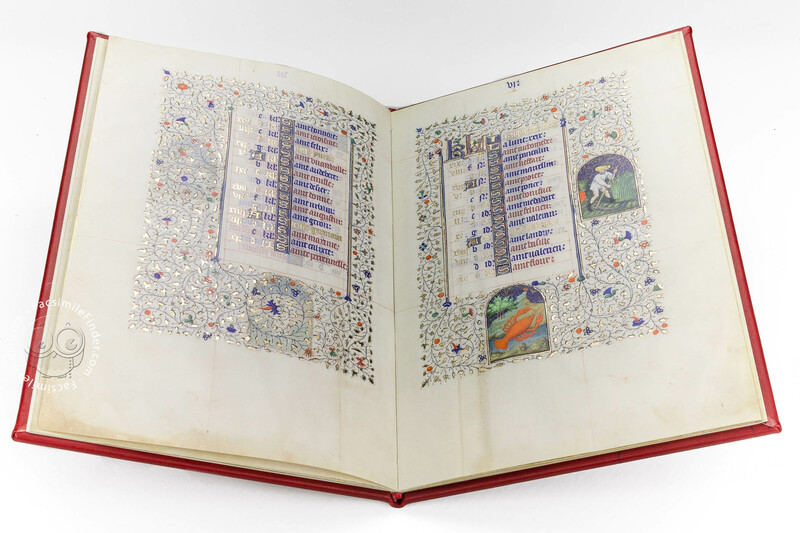 This precious volume is very rich in initials decorated with vibrant colors on a burnished gold background, and in illuminations depicting the Evangelists and the scenes of Christ’s life. 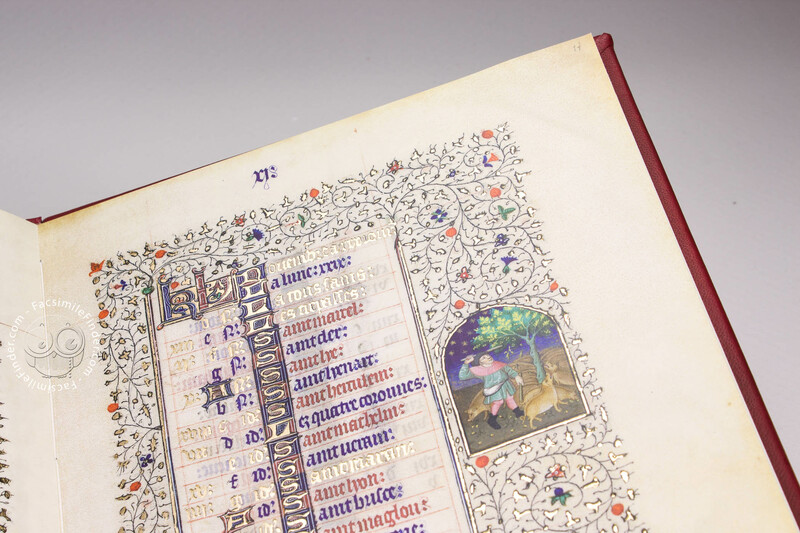 The Codex is a Book of Hours: the Christian Liturgy had very precise rules on the recitation of prayers and devotions, that had to be done in specific hours of the day. 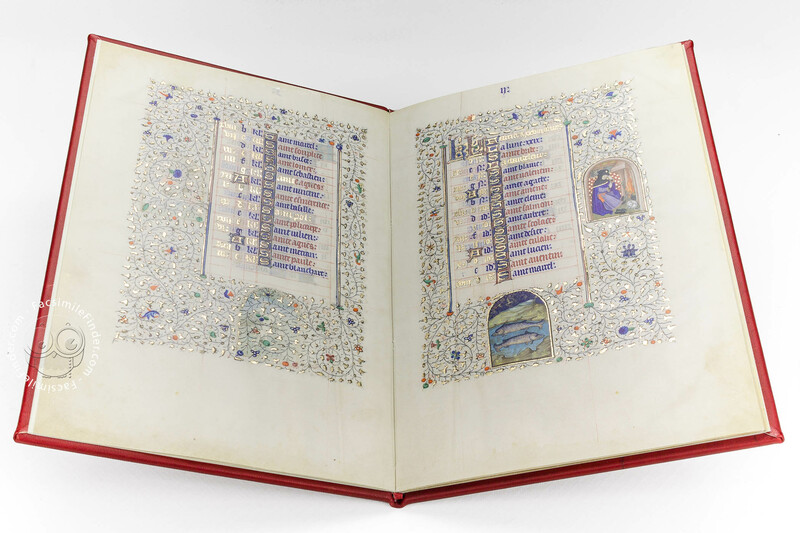 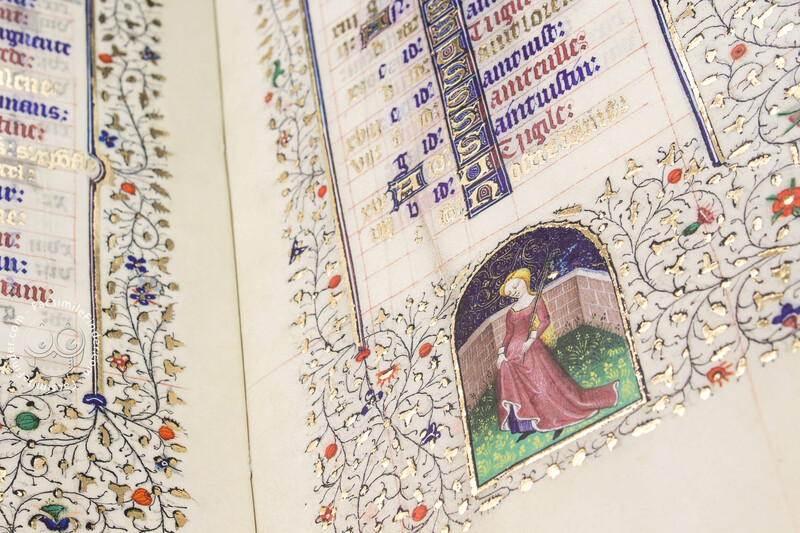 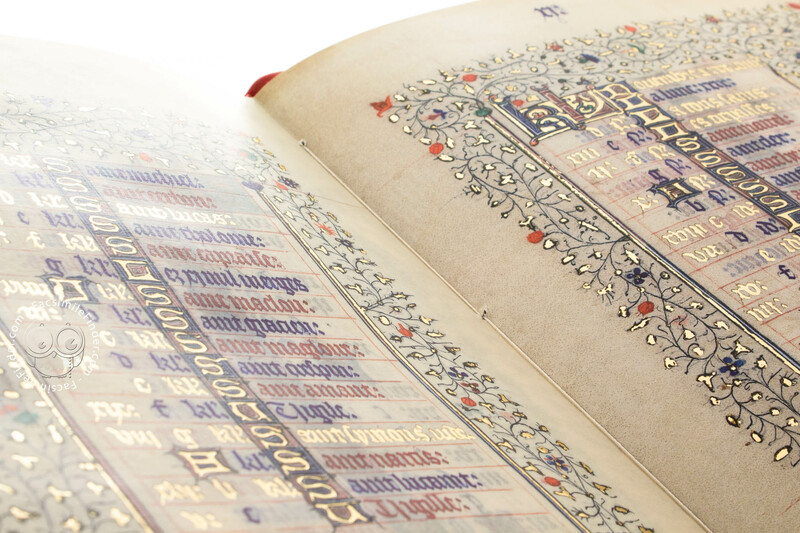 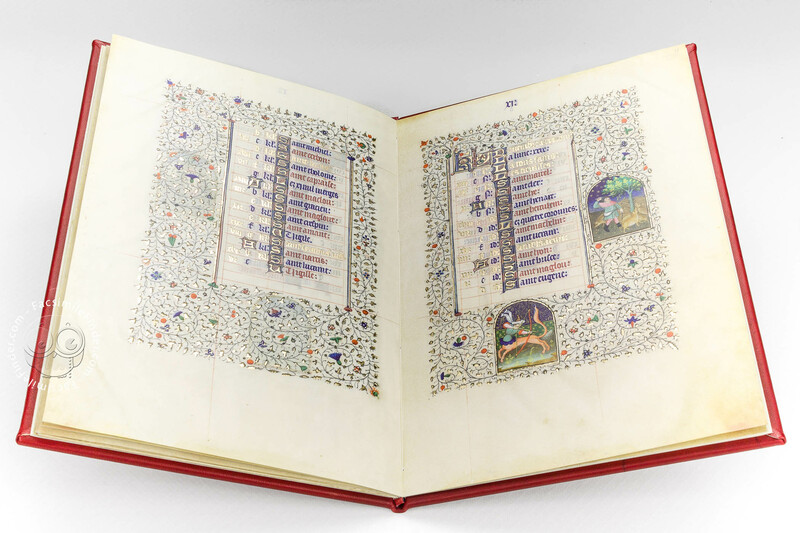 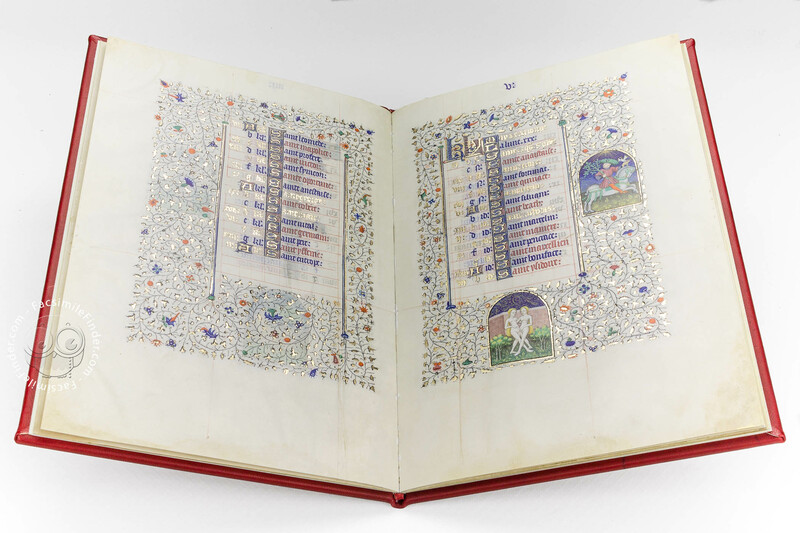 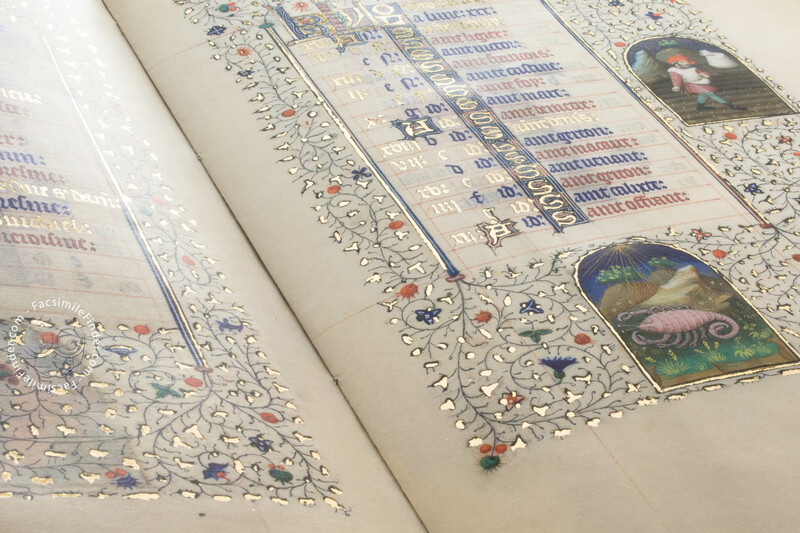 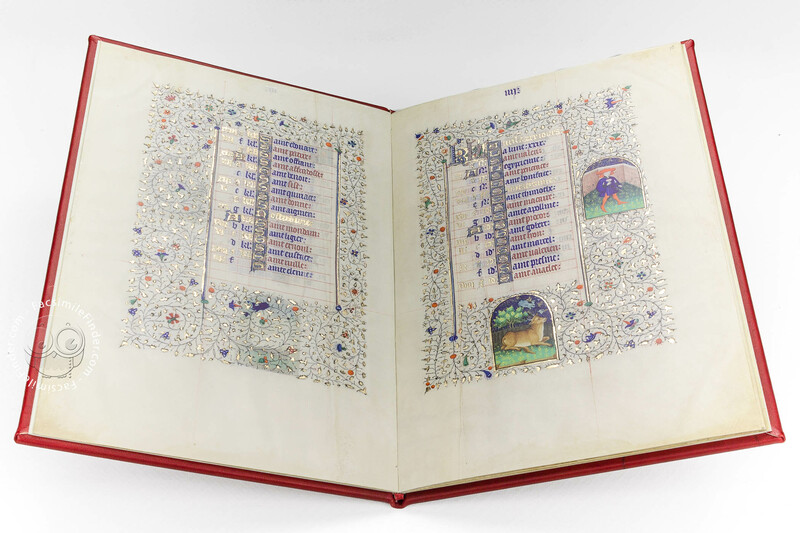 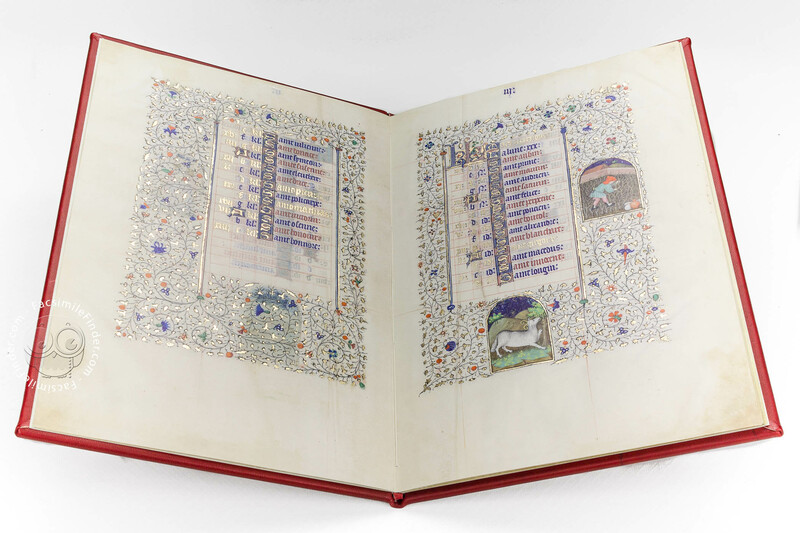 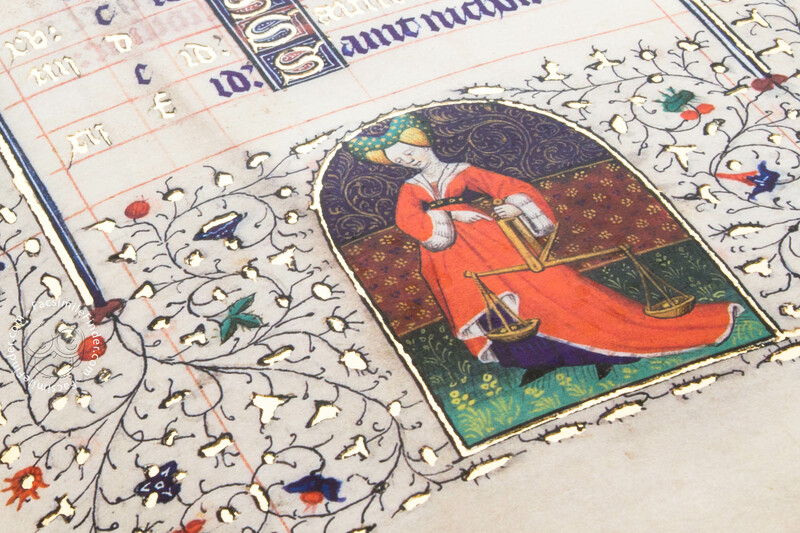 To answer the need of the lay faithfuls more and more book of hours were created. 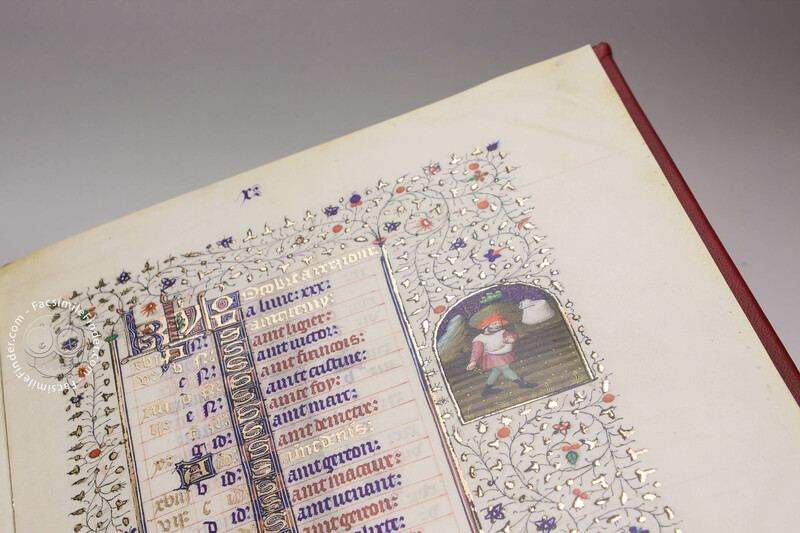 The figurative cycle used in the calendar of the “Livre de Lautes et Dèvotionis” reflects the tradition of the agricultural works and of the zodiac signs of each month, and uses images typical of similar French and Flemish manuscripts. 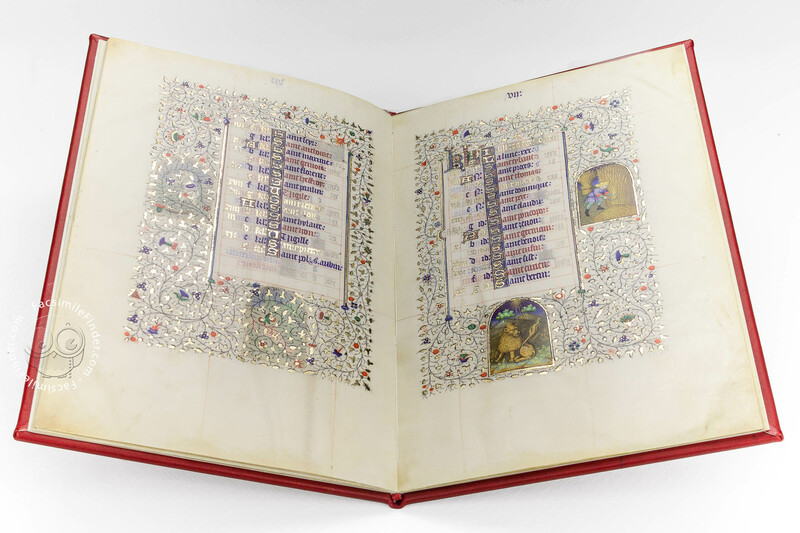 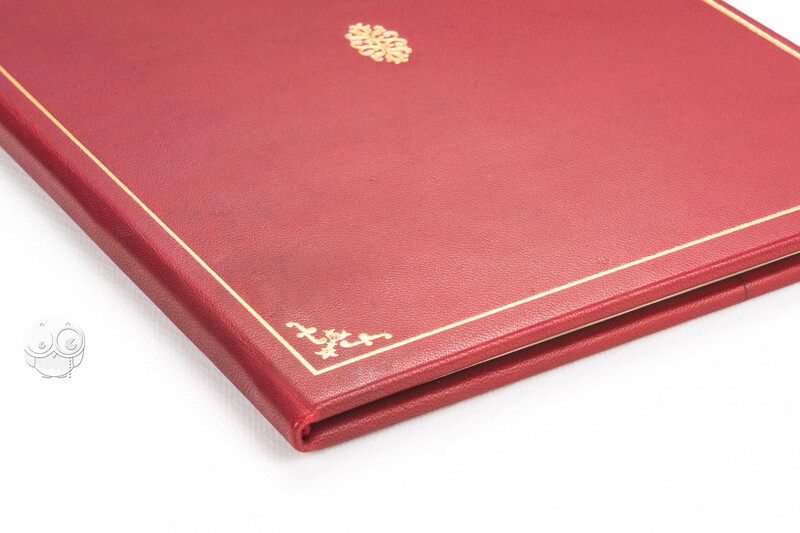 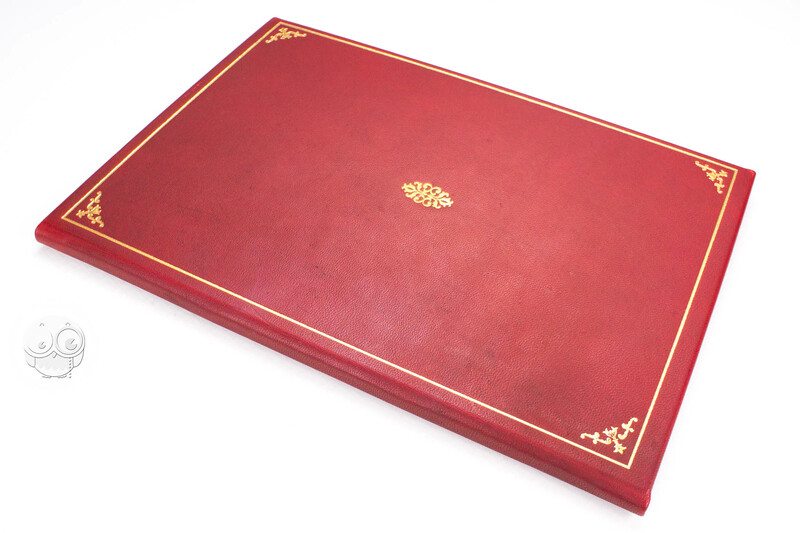 Manuscript book on parchment − 29 × 20 cm − 24 pp. 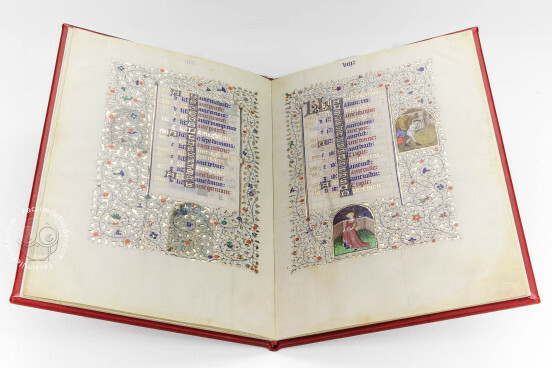 Commentary (Italian) by Bisi Bardellino, Maria Luisa; Cusanno, Chiara; Pettenati, Silvana; Massabò Ricci, Isabella; Silvestrini, Maria T.
Full-size color reproduction of the entire original document, Livre de Laudes et Dèvotions: the facsimile attempts to replicate the look-and-feel and physical features of the original document; pages are trimmed according to the original format; the binding might not be consistent with the current document binding.